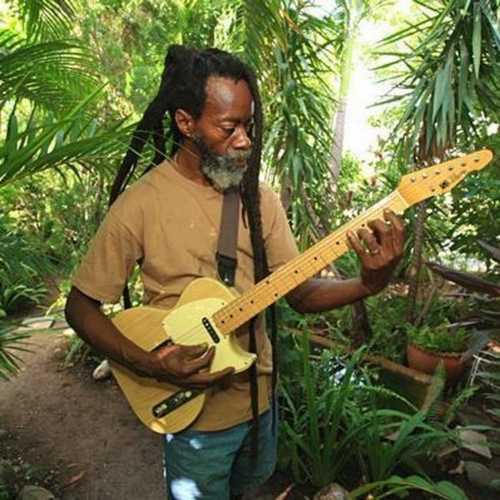 For the past thirty-five years or so, the most featured session guitarist on the Kingston music scene has got to be Earl ‘Chinna’ Smith, popularly called ‘Melchezidek, the High Priest of Reggae Guitar’. You would find his name on countless album sleeves, and he is probably there on most of the big, as well as obscure, 45s during the 1970s and ’80’s. 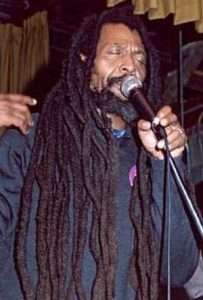 Chinna was foundational member of the Soul Syndicate band, and he branched off with creating his own High Times label and the High Times Players, a band that became the touring outfit for dub poet Mutabaruka during the eighties, among others. 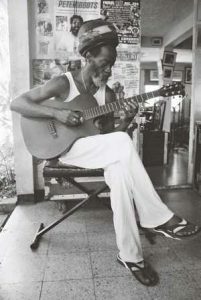 It is Chinna who made the sparse but brilliant arrangement for such classics as Junior Byles’ ‘Fade Away’, and he is the creator of such revered Keith Hudson productions as ‘Satan Side’, released in the early seventies under the alias ‘Earl Flute’. 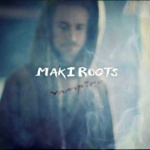 Mr Flute appears once again on the first in the so called ‘Inna De Yard’ series of acoustic ‘unplugged’ Makasound albums, devoted to a few of Chinna’s own compositions and a couple of known but mostly unknown names and their performances at the mic. Read on for more information about this project and for a glimpse into Chinna’s long but distinguished career. My thanks to Chinna, Romain & Nicolas (Makasound), Teacher & Mr T, Donovan Phillips, and Steve Barrow. 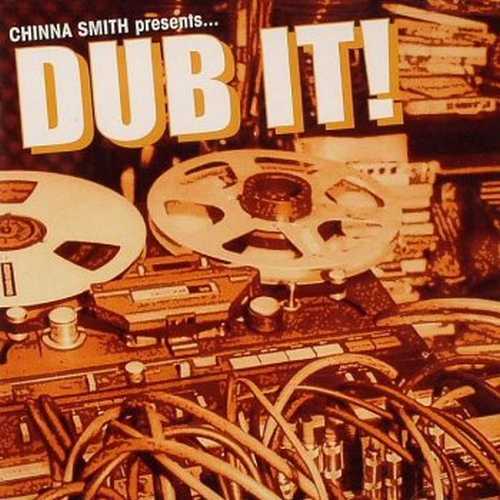 So give me the background to this project, ‘Inna De Yard’, how did it come about? It felt like the right time now for a strictly acoustic, wooden album? Let me tell you wha’ really ‘appen. It’s somet’ing that we do every day, when I’m not like touring an’ not in the studio. 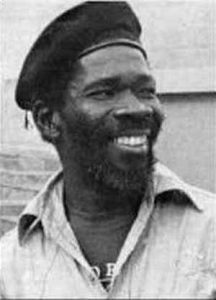 So, Winston McAnuff, a brethren of mine fe years, more time when I’m in Jamaica he come by the house an’, y’know, we do the same kinda t’ing. 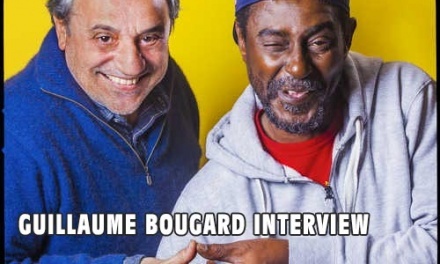 So I guess him partner, Nicolas (Makasound) an’ them, I guess him have this idea about some ‘Inna De Yard’ t’ing, which is our programme that, we do it all the time. So I guess him bring Nicolas up there, y’know wha’ I mean, my gates, an’ him seh the whole t’ing, an’ we jus’ say “Let’s record it!” Through it a natural t’ing, then wha’ him wanted was me to sing, an’ I said “No man”, I mean “Yeh, I’ll sing some tune but then all of my brethren them that is there ‘ave to sing a song or two, too”. So Kiddus I was there too, y’know wha’ I mean, an’ so him say, well, they wanted a Kiddus I too, so him say “All right, nice”. Kiddus I can do his t’ing an’ I’ll just represent me an’ the brethren them that ‘inna de yard’. You know, it happened an’ I mus’ really – it irie fe hear that the people them pick up on the vibe natural, ca’ it a natural t’ing. Like invite them to a lickle quiet space in Jamaica, so is a natural vibes. And everything was recorded in your garden. Yeah, the whole t’ing. Yeah. I think the whole t’ing, Clive maybe do some mixin’ an’ different people deserve the credit, at Bunny Lee studio, Clive an’ my son is the engineers. All of these brethren, they are at my yard every day, sometime is different, different people. You are lucky to come there an’ see a bunch of big names too, an’ sometimes jus’ upcoming artists. So it’s like a day to day t’ing, and it rolled tape. 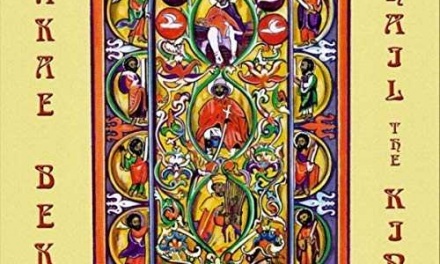 You know, who are there at the time, some artists who are on tour you might not see them there, but is like every day you can have like six or a dozen artists pass through, an’ we jus’ come an’ hold a vibes, play music, chant and read bible an’ different, different t’ing. Study music, all kinda different t’ing. So, it’s an event, yeah. Did you feel like when this suggestion came up, that it was something missing in the industry, it felt the right time to do this, a wooden album, not the ‘usual’ approach? Yeah, but is not a planned t’ing… Me understan’ wha’ you sayin’, but more time when you plan t’ings sometime things just don’t go the way how you want it, most time. You want the spontaneous flow. Yeah, you jus’ work on it, let the whole programme – ’cause I’ve done almost everyt’ing a’ready within certain t’ings, so is jus’ the t’ings dem that you don’t do naturally. ‘Cause everybody is always like ‘booking’ something you do, studio time, ‘let’s go an’ make a hit’ an’, y’know wha’ I mean, ‘let’s go on tour’. So things are always like fixed an’ programmed for you to do, so it’s good when things jus’ happen, naturally. Sitting down, relaxing, letting it flow. Right, right, right. That’s what it is. If you like starting over again you do it, I mean it’s not about ‘right’ or ‘wrong’, it’s just what happen at the time. I know a little about a couple of the artists featured, such as Ken Bob, he cut ‘In Danger’ for Roy Cousins for example, a great tune. And I know that Ras Michael Jr, Michael Enkrumah, he has done some stuff in the eighties and nineties, producer for ‘Monty’ Morris and so on. But the rest? Ah, that is what it’s all about, beca’ why they are there is not jus’ about bringin’ out singers that is already known, there’s a bunch of new artists. Like you ‘ave Joseph Israel… no, Israel Voice, terrible new artis’ that too. You know, mash up the place too, ca’ him ‘ave him own lickle vibes. 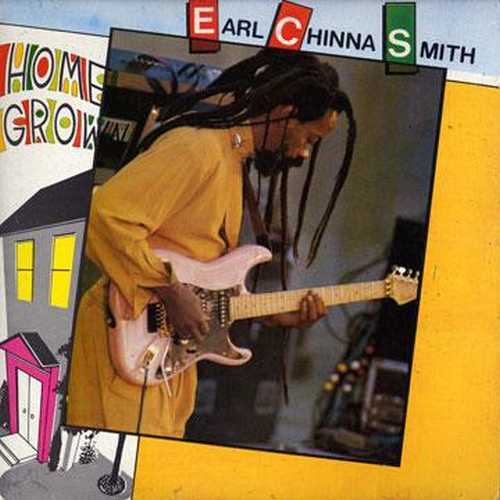 You have Ade Dread (or ‘Ade Culture’ as credited on the ‘Earl Chinna Smith & Idrens’ album), y’know. Jah Youth, Darajah. You have Emmanuel I, spiritual, terrible yout’ dem youth deh. And there’s so much of dem. You know, within time I always love to introduce these kinda green talents to the world, beca’ from what they represent. No one here have been recording or issued 45s so far, of the deejays you feature there for instance? Yeah, they ‘ave lickle stuff, y’know, elsewhere, but this is like the person that give them that kinda universal exposure, of which they are so happy an’ pleased. They’d love to come out here one a the time too, y’know wha’ I mean, expressing themselves. So they’re not totally fresh. Like Ade, is the first time him actually record, and him record for me. You know, Israel Voice too, so dem do dem lickle t’ing, ca’ I’m not a prisoner producer, artists are free to do what they want to do. Is jus’ that they understan’ my feeling of music an’ concep’, so when they are with me they, y’know wha’ I mean, it’s not a restriction, but it’s just order. I’m sure there’s a few out there wondering how much of this was rehearsed, or if most of it came spontaneously. Mmm, I jus’ do the song, Ken Bob he jus’ do that song. It just ‘appened right there. Yeah. I wish you’d come to Jamaica one a the time an’ have a lickle of that experience, ca’ as I say it’s a day to day t’ing. And it was nice to see you doing some of your own compositions, like the old Soul Syndicate ‘chestnut’, ‘Satan Side’, once cut for the late Keith Hudson. The ‘art’ of ripping off. Rip a t’ing, yeah. That was the idea, so I remember I did the song, my song for Keith Hudson years ago, so spontaneously the thought of whatever, what song I can’t remember, jus’ come to my mind. You have a song I’ve written for Dennis Brown I did never get to sing, ‘Humble Servant of Jah’, I throw that in too. A couple of dem, one that I did on my album, ‘Home Grown’, ‘Daniel’. ‘Daniel In the Lion’s Den’. OK. And there was ‘We Got Love’, a song I think Freddie McGregor did for Niney back in the days. You know, that was my song, that was Soul Syndicate. It was released on a Soul Syndicate album, ‘Harvest Uptown, Famine Downtown’. What is to come from this project, ‘Inna De Yard’? Well it’s a concept that can be when we’re doing it, it’s somet’ing that’s pretty much alive, and it’s just the beginning. We did actually, like, we did three, two are already out. Me, Kiddus I, and you have one to come which is supposed to be with the Congos. All right, so we’re thinkin’ about doing a next one again, but it’s going to be different every time. So, it’s not for me to talk about what it can be next, beca’ I don’t even know what it will be next, but I know it’s going to be a next one. And whichever will come out. It’s a natural with the same, yeah, we ‘ave the guitar already, so we’re gonna do it on different instruments. So there’s some stuff recorded already, in the can. The Congos is recorded, yeah. It will continue next year an’ we’re talkin’, y’know, it’s lookin’ like we have featured artists, like tryin’ to get the Abyssinians, hopefully the (Mighty) Diamonds, a couple Toots, y’know, an’ different, different people. It’s also some instrumentalists, yunno, not just vocals. What has the response been so far to the album? We have been getting good vibes, y’know. Good vibes. I think people respect it for the natural vibes, and the difference. And that’s the response I’m getting, it feels good. To be honest, first it felt like a very low-budget project to do it like this, not having the funds to go into a studio and do some ‘proper’ recordings. But it wasn’t like that? (Coughs) No man, we don’t have that problem. I mean, I have a load of multi-track recording, like I can put out an album at least for the next few years, like every month. (Chuckles) It’s not about we’re loading the music like that, y’know, music that haven’t been released from in the seventies, through the eighties, nineties, and 2000. How much of this stuff do you have in the can? It’s what I’m tellin’ you, man, I’m loaded with multi-track tape, but I haven’t been releasing anyt’ing. I just put out one album out of them all, in fact ‘Check It In Dub’, Mutabaruka. So I just have loads of stuff in the making, I mean under pot ready to just come out. So we haffe try an’ find a way of doing it and consider doing pretty much vinyl. CD is kinda weird business, to find a good distributor to handle that, universally or in different areas, different people to treat it right. 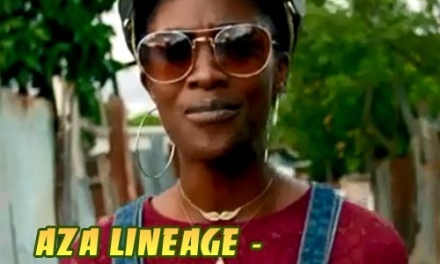 Has the ‘Inna De Yard’ album been released in Jamaica? You plan to do a pressing for the Jamaican market? What’s the attitude in Jamaica to record something like this, it’s not exactly reflecting what the market looks like? Well you see, through I as a musician is not really so much for penetrating the market, I penetrate music, just music, to what you feel, and this is what you do. We put it out on record and that’s the next level, people kinda want things different. Maybe not everybody, but serious music lovers will appreciate anyt’ing that is totally different, done a certain way. To get into some of your background, how come you choose the guitar? You felt that this was the instrument with the most appeal, so you could color the music more? I think that is what I was connected to, ’cause I remember the first time I actually see a guitar close, the attraction, and how much I was in love with it. You know, the passion for it, the intimacy. The first time I get to touch one, I think that’s what it was. The interest was wider than just rhythms or grooves, it had to be melodies. Everyt’ing, ca’ you know the guitar represent all of that, it’s a melodic instrument an’ it’s also a rhythm instrument. It’s both. It’s like a piano, you can play a melody an’ you can use it to play the rhythm. I use it for one t’ing, but it can be used for more than one t’ing. Who made you pick up the guitar, was it Cleon Douglas? No, it was me. 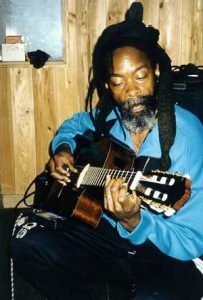 Cleon was one of the first guys who actually show me to get the guitar in tune, ca’ I used to go up there an’ watch them (Soul Syndicate) rehearse every day, when there was rehearsal. I used to play the guitar, but it wasn’t in tune, so Cleon say “Hey man, the guitar’s not tuned”. 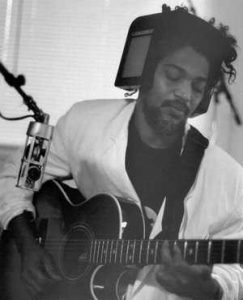 So I realise seh ‘wow, you don’t just play the guitar’, the guitar haffe be tuned to get it sounding right. So, with information like that, I take it in, yunno, an’ take it to a next level. The first session you did, Carl Gayle wrote about you for Black Music magazine in the mid seventies, and it was apparently a session for a UK producer, Sir Collins. Yeah, yeah. I can’t remember wha’ the songs them… Yeah, yeah. It was probably about ’67, y’know. Yeah, about ’67, or ’68, somewhere there, about that time. How did it come about? He came down there from London and handpicked a few guys, you being one of them. Yeah, it was a Delroy Wilson song, I cyaan remember the song right off-hand, yunno. But it wasn’t anything that was really successful in that sense. I don’t even remember if – maybe it haven’t been released, y’know. It came out on an LP called ‘Sir Collins’ Musical Wheel’ in England only. Yeah, well… yes (chuckles), I’d love to find that album too! That’s good, at least someone know the record then. Due to we play that stuff so long ago, we lose track of all those t’ings. Yes. But this was the first session, I think that album got released in ’69 or so. But after this, it was a longer time-gap before you did the next session, or what happened after that? No, after that was just the Soul Syndicate t’ing an’ it was like sessions was our game, man. I think some people refer to you as the leader of the Soul Syndicate band, but I’m not sure how true that is. Wasn’t it Fully (Fullwood), you joined some time after, didn’t you? What was the first session with the Syndicate, if you recall? Oh gosh, I’d lie if I tell you I can remember that. I dunno, maybe Fully could remember or Tony (Chin), is so much t’ings happen in my life then, y’know wha’ I mean, to remember that (laughs)! The Syndicate came from Greenwich Town, what was the ‘Farm’ like in those days? Yeah, well, it was the music place, everyone have to come down there. For some reason all the artists, y’know, we used to have the famous dancehall, we have one of Kingston best fishin’ beach. So everybody have to come down there. Greenwich Town ‘ave one of the seven natural biggest harbours in the world. You know, train-line run through it, we have the airport, small lickle… We ‘ave all of that, and more. The best herb, coolie bwoy, y’know. For how long did the Syndicate keep together as a studio and touring outfit, did you split up or most of the band simply moved their base to the States? No, we didn’t split up, is just the guys them haffe leave Jamaica after a while. I mean, after the whole violence t’ing them go away, not just Soul Syndicate members, a lot of musicians and other people in Jamaica through the whole political violence an’ t’ing (speaking of the bloody 1980 elections in Jamaica, it led up to at least 800 people got killed). So like with me now, my t’ing, I was busy, I was doing stuff all over the place. I was like with every band. So I would like go out on the road with all of these guys that, y’know, the albums that we did, we become successful. Like I remember I was out on the road with Inner Circle, ‘Reggae Thing’, Bob Marley with ‘Rastaman Vibration’. You did that tour with him in 1976. What was that like, was that your first big tour overseas? Yeah, actually we stay out like three months on the road. It was a special experience too. So it was a natural step to form the High Times label around this time, when was that to be more specific? That was when everything took shape, the label, the shop, the band, High Times Players? Mmm, beca’ the Soul Syndicate, the rest of the band leave to the States, and all other bands them was like forming their own plan, like I remember the (Roots) Radics, everybody have them own plan. So I seh, well, bwoy, I have to put together somet’ing. So I remember this went together, we have something, the label. I never really call my group a ‘band’, y’know. I think ‘band’ is like ‘bandit’ an’ ‘bandulu’, so I seh, bwoy, we haffe call ourselves ‘Players of Instruments’, the High Times Players, y’know. And that’s what it is. What was the original line-up for the group? High Times Players was all the musicians them in Jamaica that I worked with. High Times Players was Sly & Robbie, Santa an’ Tony, all of the man dem. 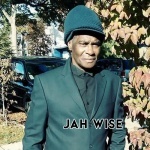 But then it work out to be after everybody move out, I mean most of the regular guys was like Benbow (Basil Creary) on drums, Christopher Meredith on bass, Asher (Tony Brissett), resident on keyboard, me on guitar, you have Fazal Prendergast on guitar, he just died… Jah bless his soul. You have on percussion different man, you ‘ave Harry T on percussion, you have Sticky. Robbie Lyn come in on keyboard too. So that is all of the people dem that we use on record. Santa on drums, he was there too. Tell me more about Fazal, your guitarist who passed away so tragically. Yeah, he was one of the guitar players for us. He leave to the States too and played over there all these years till I heard that he had this accident (drowning in a river in California). How important was Fazal to High Times during those years? He was there all the time. When we went out on the road with Mutabaruka, y’know, the band High Times Players went out on the road. He was there all the time until he migrate to America. He was on most of the recordings that we did. What about Squiddley Cole, the son of Stranger? Yeah, well, he was there. He come in after, but he was there too, pretty much he spent time around that programme. What became of Chris and Squiddley, are you still working with them as the High Times rhythm section? Yeah man, everybody still there, y’know, both Chris and Squiddley. I think Squiddley is on the road now with Damian (Marley) or maybe Steve. What did you first put out on High Times, you formed the label with Teddy Reynolds, didn’t you? Yeah, it was ‘Check It’, Mutabaruka. ‘Check It’, Mutabaruka firs’ album. Yeah, yeah. But we put it out firs’, Alligator did the American release. 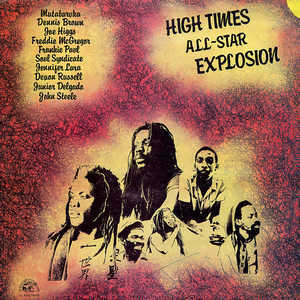 What about the ‘High Times All-Star Explosion’, that album has been out of print for some twenty years now? All right, we give that to – we did three albums with Alligator, ‘High Times Explosion’ was one of them too, which I called my High Times compilation, which was some releases on 45 that I had been releasing previously. So I did a compilation with that. It was a Joe Higgs, a Freddie (McGregor), Mutabaruka, Frankie Paul, most of the artists them that was on the label. 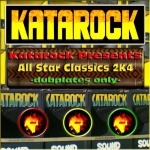 That was our first compilation that we did. Do you have the intention to put it out again? Yeah. You know, right now I still have it. I mean, it’s just that I don’t make CD of it, tryin’ to keep most of the t’ings them on vinyl. Ca’ with vinyl I can keep more control over the whole programme, so all of them t’ing deh is pretty much available. And still, you can get it on vinyl if you contact me. Do you still have the High Times shop in operation? No, the shop is no more, I kinda closed that from ’bout ’96, now I’m operating from home. Like ‘inna de yard’ (chuckles). How come you closed it down? Well, y’know, everyt’ing, shop an’ all dem t’ing deh become obsolete after a lickle while. It sit dung with you, all of that happen before you get the drift an’ move. I should’ve been doing that before an’ make preparation for the, yunno, we call it the ‘new systems’. So it’s, whe yu call it now, cyber, cyber-space we work through now. So everything is through the net, so you don’t have to be paying for all of these unnecessary overheads when you can operate through the net an’ all of that. Instead of it to reach your yard by mail or whatever system there is, shop an’ all dem t’ing deh is outdated stuff. I guess you have to move on too, move with the times. Yeah, well, t’ings an’ t’ings an’ times, and times are changing. How do you see youngsters approaching the music nowadays? They’re approaching it on their level, and they can do nutten more than what they’re doing, y’know. And you have to accept an’ respect their way of doing it, beca’ we’re in a changing world an’ this is what is happening. Of course, but it would be nice to see some more vocals and ‘instrumental skills’ rather than deejaying or just programming. It can go back to that stage, it’s just how the industry is set up and what radio is promoting an’ companies is promoting, yu understan’. They’re promoting that kinda stuff, so all of these people, all of this good music knowledge an’ recording music a certain way, when them is recording, there’s like a block. When you record, when you spend so much money to make your music a certain way an’ you carry it to the radio and if you don’t have money to play it, to pay to get it played, then you’re out. You kind of want to do somet’ing else, and this is what is happening until the system can set up a way with people with certain knowledge and certain idea, can be accepted. Then you going forever have that problem, and it’s not a lot of musician play music fe the love of music, most people are involved inna it for the business, an’ the business, people want spend their money to make it back. Then you have musician who jus’ want to play music ca’ they love it, an’ people who just want to buy music on a different level too, beca’ they jus’ love music for music, not for the hype or for the excitement. So do you see any change in a positive direction for, say, the ‘vintage’ way of approaching production? I saw that Harry J’s studio is up and running again for instance. Yeah man, a bunch of lickle youth start sing again on a rightful lyrics, pitch a certain way, so… We still ‘ave a lotta bubblegum t’ing, but you ‘ave certain youth whe a pitch the t’ing right an’, y’know, writing good lyrics. I pay attention to them. I did pick up a new High Times 45 occasionally over the years, you’ve always been ‘protective’ of the people from your generation so to speak. You did some work with Winston Bailey for example. Winston Bailey, the guy from the Slickers. You did a recut of ‘Johnny Too Bad’ with him, early nineties sometime. I don’t know, come like the brethren just disappear (chuckles). And you know it’s just – I guess maybe the problem dem have within the industry too, after making all of that effort an’ spending them whole heap a money and energy, in vain. But is real funny how you call him name, I haven’t seen him for a couple of years. I hope he is OK.
Wadada, yes. 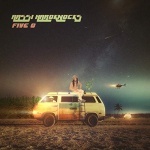 Wadada is doing somet’ing with the Marleys, their label. Yeah. Oh! Wadada is like, oh, I sure miss the group. You have Frank, Frank was a brethren that used to hang out with Bob Marley, him really have similar sound, and write beautiful too. 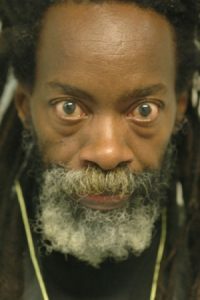 All right, you have another brethren name Dip, him is a brethren that is related to the elder Rastaman, (Mortimer) Planno. And a beautiful voice an’ great lyricist also. You have a next one now, Burroughs, I think he’s from the same town that Peter (Tosh) come from. Them is the only three guys who’s got the Wailers sound, naturally. Them should’ve an album, them have one a the wickedest album, I dunno why the Marleys dem don’t release it yet. But whenever they do release it it’s gonna be… you know? It’s gonna be one of dem trademark. 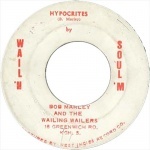 It done couple of years now, beautiful lyrics, so you can hear the sound whe I tell you ’bout, them ‘ave the really true authentic Wailers sound. I’m not just talkin’ ’bout Bob Marley as Wailers, ’cause Frank is like a Bob, Burroughs is like a Peter, him come from same place as Peter, Dip make the sound like a Bunny Wailer. So, when you hear the three voices dem, you will hear them a sing with Wailers’ voice handle, you hear. Yeah mon, you hear. If you listen to music deep, you can recognise that. And then you did a record with the Tidals. Yeah, Tidals is a great group too, y’know. One of their famous singer, one of the important singers died recently too. And that kinda dumped the sound. Me an’ them do a portion of work too, like a bad 45 with them. Yeah (chuckles). You serious, y’know dem tune deh nice. Yes, that’s the one. Most of them are produced with digital stuff? No man, is drum, is really drums. Yeah. Drums, keyboards an’ guitar. You did recordings with Time Unlimited as well. (Sipping from a glass of water) Time Unlimited, all right. I’ve worked with them from in the past. There was like one guy, that was the lead singer that used to operate the store, High Times, together, that was one of the reason for me closing down the store, ca’ we had problem. Him used to manage the whole programme, it wasn’t managed to the level I wanted, and I’ve been up and down the road most of the time. That make I kinda decide to just close down the record shop an’ just continue playin’ the guitar, taking the music to a next level. And then the group, I dunno, I think the group kinda split up too, one guy went to the States an’ t’ing, one guy went to England. I think he’s back there in Jamaica now, but everybody’s been doing their separate t’ing. I did an interview some time ago with one of them in Time Unlimited, Hugo Blackwood. Yeah, he’s in Englan’ (residing in the US, Ohio to be more specific). Also known as Istan Black. Yeah, great singer. Yeah, you know me an’ him still communicate, good brethren. Nice and beautiful voice too, I have a couple of tracks with him, too. Great. They have CD which is supposed to be coming out soon, if everything is right. For some reason the ‘vintage’ style of recording is something that’s intimately linked with your name and your past work, so how did you find the transfer to working with digital technology at first? Make I tell you, the industry funny. You know, is jus’ that sometime it force you to do t’ings, an’ I guess is a conspiracy go down into music. Is like, it’s going on now too, over the years drummers been playing the drumming right an’ sometime in the eighties it’s like a problem, everybody is saying “Hey, drummers is not playing right!”, beca’ they want to introduce this machine to the system. You know, it’s like a conspiracy, but people take on to it an’ start complaining, an’ then the drum machine t’ing come in. Now, then I guess from ‘Sleng Teng’, an’ then the whole t’ing change, everybody just start make music with drum machine, an’ when they make music – if it’s not drum machine it’s like the radio or soundman don’t even wanna play it. So you find seh the t’ing get vile, an’ we say “No, we’re tired of the drum machine t’ing, man, drummer can’t play a way”. So this is what happen all the time. Is just like today now, most music stop recording on multi-track, everybody’s going to pro-tool. 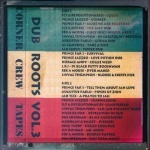 Now, pro-tool is a next form of computerized t’ing, an’ then you hear seh well, bwoy, you cyaan use the multi-track tape beca’ the companies not used to it, it out of business. It a great t’ing. Beca’ I mean the pro-tool, you can jus’ put up dem t’ing deh an’ all your files just erase’. You ‘ave the multi-track tape, yeah, you might have problem with them sittin’ there for years an’ backside kinda start (inaudible) on the machine, but there’s other ways where you can go an’ save it, you can bake it. So, when you put up so much effort fe make music an’ energy an’ money, an’ jus’ put it on a file like that, an’ you might just come back all next day an’ you don’t see anyt’ing, a man might jus’ come erase it beca’ the Master Computer is just like – everyt’ing now, it not even yours any more (chuckles). Before you could control everyt’ing by having your multi-track, is you alone. Is like I have a mark an’ you have one, I coulda just find out what the whole t’ing is an’ jus’ take it! Take off your music from, y’know wha’ I mean, for my file, beca’ of how the system set up, because of this new technological era that we’re livin’ in, y’know. How do you feel about the sound you are getting nowadays, it’s not exactly the same warm, organic sound that you got back in the days, is it? It can be, that’s what I’m tellin’ you, that’s why we have to get a change-up. Ca’ maybe you a come from a two-track to a four-track to eight to sixteen, to multi-track, twenty-four, forty-eight an’ all of dem t’ing deh. No when it gone to pro-tool you can jus’ get whatever amount of track, but that sound, the sound of old, I mean guitar go through amplifier, an’ mic, y’know wha’ I mean, mic a bass, an’ dem t’ing deh gone. 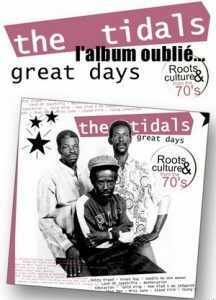 Certain frequency whe you get out of it when you listen to dem Treasure Isle an’ Studio One sound an’ Randy’s, that compact recording, them Joe Gibbs an’ early Federal an’ all the old studios, you jus’ cyaan get back them sound deh no more. But people have to sample them, maybe (chuckles). It’s a sad fact, even though music have to go on, move forward. But for the whole listening experience, you’d prefer that warm, organic, ‘dirty’ sound, you know what I mean? Well, for the serious people dem, dem try to preserve that, I t’ink that is good. Yeah. Is like wha’ you ‘ave here in France whe you don’t lick down all of the old buildings dem an’ put up new buildings, you still have the old ones you can come in like it’s the 1800s or 1700s, whatever. That is still a great t’ing, yunno. Nice. You a feel like you was livin’ back in those times, even though you are livin’ in this time. What of the old studios are used frequently now? Yeah, Dynamic is still there. I think them set up back Joe Gibbs. Where else…? Well, Studio One is still there still. Yeah, most of them. Channel One, the original Channel One is also there though I hear they’re settin’ up a new one. Right, I heard they’re moving it to a new location, the old one was far too dangerous. Aquarius, yeah. But them ‘ave a new name too, and Harry J are back in the programme again. But don’t sound the same, y’know. Most of the equipment is replaced, yes. Yeah, yeah, everyt’ing is… True. I think you pointed to some of these things in the DVD interview as well, if it continues as it is then Jamaican music will lose something valuable. Yeah, well, what you will be losing is somet’ing that you have created. 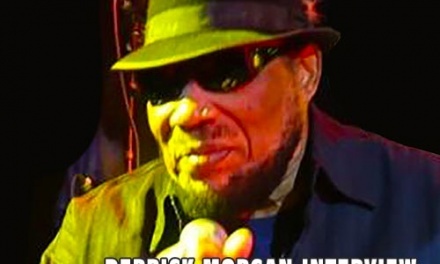 You have created a music like ska, Blue Beat, rock steady, reggae, so when you come an’ create t’ings like those, you find ways an’ means to preserve it. Don’t just throw it away to hold on to a new t’ing, because who tell you that that new t’ing is what you can hold on to an’ be better than what you had firs’, in the beginning, you see wha’ I’m sayin’? So you preserve all of that, and you add on to what is already there. 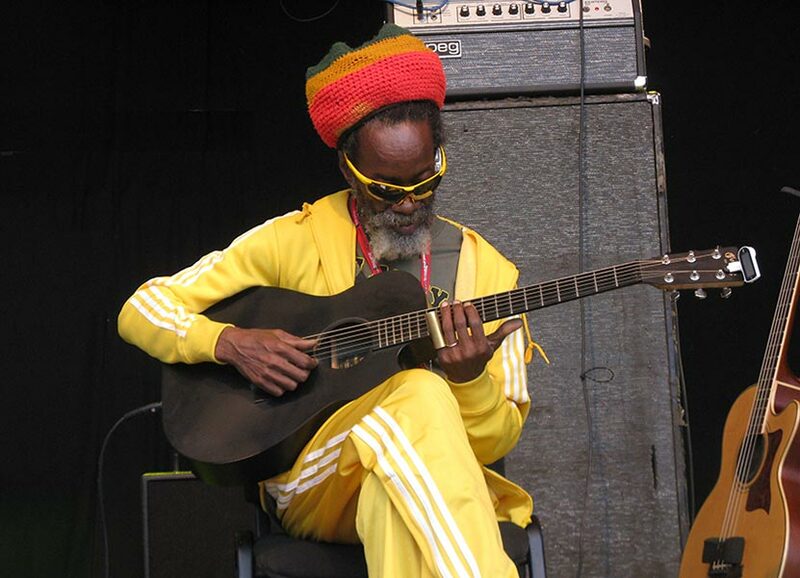 What should take reggae music further as you see it? It should be distinguished from the dancehall stuff, which is just another branch of the Jamaican musical tree in a way. 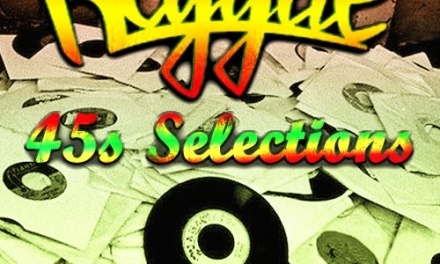 Reggae stands on its own, it is trodding its own path. You said in a 1970s interview that musicians were, in general, too lazy, didn’t practice enough or came up with something inventive. Same thing happenin’ now, today too. Beca’ I mean, the whole t’ing is about being… a star. Is a whole hype t’ing. It’s not about making a difference. Beca’ I mean, any man can jus’ have a lickle – most of the singer dem today, they might jus’ have a lickle one hit song, an’ they’re all over the place! They jus’ have one song. So, they gone on tour with one song. So after they sing that one song, what song they gonna sing again? You don’t even have an album. So I don’t even think these managers an’ dem t’ing deh that get involved now, they try to program these guys to be someone they… You have a one song, well, that’s good, but you need another one, and you need another one, and you need another one. You need at least twelve songs, to complete a CD. You don’t need twelve number one songs, but you need like twelve songs that people can communicate with, y’know, an’ tune in to, so at least when you go out on the road you ‘ave a show. Wha’ you a go do when you sing that one hit song, you goin’ sing a bunch of Bob Marley songs or someone… you know wha’ I mean? That is not a show. What kind of money you can get from a promoter to come out on the road to sing your one song? You know? So this is what’s happenin’. Before that you hear group like the Diamonds, but you still ‘ave the music! (Chuckles) It’s like Dennis Brown, John Holt an’ dem man, they have the music. Them ‘ave tune. Tune (laughs)! 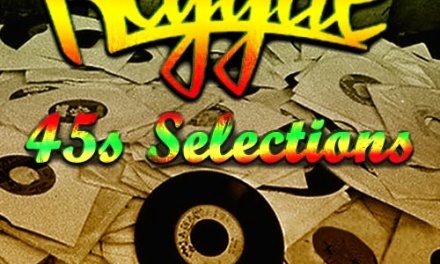 So much tune that (chuckles)… I mean, Gregory Isaacs, too much tune! Today the artists dem don’t penetrate dat way deh, ca’ the radio just hype up them one song, or the deejay dem an’ ray, ray. You see dem come out on the road, dem cyaan represent so dem come out with a package, and they run around the stage an’ them do two or three song an’ jump off an’… you know? We haffe forget about an’ get rid of this package stuff and get back to artists come on tour an’ do a show. It’s not as if they’re not takin’ it serious, they do. Ca’ it’s their job, their career. But that’s how it become. Just a rush job, and they get trapped in that. 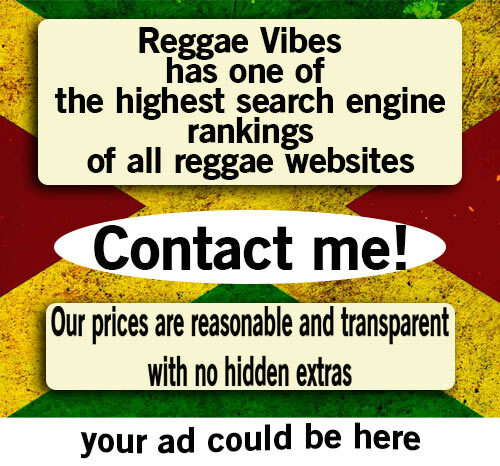 Yeah, yeah, is just a rush an’ the hype side kinda decrease when it’s supposed to increase, because of wha’ – reggae music already promote itself, it need no more promotion. All it need is for the featured artists to get paid for the work that they have done, and the musicians. Not just the promoters and, y’know, the big corporation. Then what could help is if we could set up a lot of institution, like community centers and places whe ‘ave some musician, so they can go out an’ earn too from their music. And bring out programme like analog recording, so engineeers can learn how to mic a drum an’ a guitar properly, an acoustic piano, horns, an’ all of dem t’ing deh that require micing a certain way. You know, all the technology, technicalities, you know, that it takes to bring out music sounding like what it used to sound like then, not now. Is this something you could see yourself being involved with, to supervise? Well, y’know, I do, I do that. I remember I was workin’ with some guy in Jersey a couple of years ago, and we set up a plan an’ he was supposed to bring in some instruments or whatever. We tried to transact to get those equipment, an’ him jus’ swing a next way. Because what I wanted was to like set up a programme, which I know I will, eventually, when I’m in that position, materially, to do that. ‘Cause I’m always up an’ down the place, but I’m thinkin’ about it, to give something to the youth dem, something positive, to see that they can help themselves and develop their talent an’ the culture. I did pick up some reissues on the High Times label which was actually Freedom Sounds productions, Prince Alla or whatever it was. 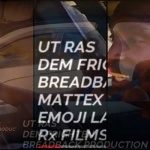 Do you still distribute and work with Bertram Brown, Freedom Sounds? Mmm. No, he is doing his own t’ing, but we work together, still. They have their own label for themselves. But we work together through High Times. The whole concept behind the Freedom Sounds set up was to create something original and different than the bigger labels did at the time, like Joe Gibbs, Channel One, recycling old Studio One riddims or whatever, how do you look back on that period? Yeah, the Freedom Sound t’ing, you’d have to talk more to Bertram Brown about that. My idea of the whole High Times was jus’ the High Times artists an’ musicians. I guess ‘im is responsible an’ tek up the music that’s theirs an’ deal with it on a certain level. You try that an’ everybody – sometime people just become greedy an’ want to do somet’ing else, an’ I guess that’s what ‘appen. Back to what you have in the High Times can again, how much could be released of what you have, what is there in the vaults? We have album for every month for the next three years. What is the recordings that haven’t seen the light of day so far? Well, a bunch of t’ings (laughs)! Bunch of t’ings dem. Well, most of them, maybe not a Bob Marley, y’know (chuckles). Or a Burning Spear an’ t’ing, but a lot of the other names dem. There’s Frankie Paul, Freddie McGregor, Devon Russell. Do you still have that album in print, Joe Higgs’ ‘So It Go’? ‘Triumph’, yes, sorry. Brilliant LP. What’s ahead for you now, there’s the Congos album, the unplugged set. More? Yeah, that’s supposed to come, I dunno what time period have to release that, but that will come out. One final thing. I did pick up an old magazine a couple of days ago, reading about the tour Jimmy Cliff did to everyone’s surprise to South Africa in 1980, when the Apartheid regime was still in full swing. It was hard to justify a move like that, he had to take a lot of criticism for ‘breaking’ the embargo and go there to play. You went along in his band, as can be seen in the German ‘Bongo Man’ movie. What was your decision to go along to South Africa, even at that point? There was no decision there, Africa, I need to go there. I mean, I do understan’ what the whole Apartheid t’ing is. I never really love how Jimmy Cliff deal with it, because him bow! I said, “How can a man represent in a place like Africa an’ bow an’ feel ashamed or feel sorry?”, that him went there. Beca’ some crazy African attack him ‘pon that. These Africans, they don’t understan’ what is going on, because they’re so suppressed by a system that – you have to understan’ that we come from a world we name Jamaica, yunno. In 1917 somet’ing, Englishman ‘ave to give our freedom beca’ we fight for that, you understan’? People like Cudjo an’ Nanny an’ all dem people, we no joke, we no ramp. We a deal with freedom, rights, an’ dem t’ing deh. You understan’, so we are different African from every other African, maybe that’s why we no born a Africa, we born a Jamaica. So we say, “All right, let us go there”. Same way how me an’ him go Cuba too, an’ when we gone there, there was one man that really upset me – African come to me an’ talk seh me a idiot t’ing, an’ me seh, “Wha’? Me go Germany, me go all over the worl’, wha’ you a tell me seh! And because me no born a Africa you a tell me, yu a idiot, go sit down!” So I remember, some guy name Credo, yeah one a dem Muslim priest, he invite us to his place. We go there one mornin’ an’ we haffe go away, beca’ him say we need to come there before the sun rise. And when we went an’ come the following day, an’ him sit us an’ start give us the whole history of South Africa an’ how it become what it is, then we realised that ‘im seh it was great that Jimmy Cliff an’ people like we come there, beca’ the people dem down there need people like us to show them. And me get fe see the whole of that free up, even though it’s not so free up yet. But we get fe see all of that barrier, all of dem lickle t’ing deh break down, an’ artists and musician a come out an’ sing all the music too. And even give the Jamaican the respec’, beca’ them have some artists an’ musicians soundin’ like Jamaicans an’ behave like it’s a African t’ing. It’s a Jamaican t’ing gone deh so, we a go create dat from right deh so, yu understan’, through our oppression dat we go through from the slavery t’ing dung deh. We create dat, our reggae music, our weapon, our future, that we use to free ourselves. Yeah man. And me see Jimmy Cliff when we go deh, a pure army clothes we wear, an’ then me see all band from Africa a play dem lickle t’ing deh an’ a gwaan like a dem create it. Yes, ca’ me no play. So, the Africa trip was a great trip, is just that me t’ink the artists dem should be proud of it going there. And after that, even the guy Credo was tellin’ us too, him know that Jimmy himself goin’ have a serious problem with Africa beca’ of the whole t’ing. But him should know that an’ deal with it a certain way. But you see, a soldier is a soldier. You have soldier an’ you have different rank, inna the soldier you have soldier inna the bottom an’ you have soldier at the top. And if you is a shepherd you have to know how you lead the sheep. And through me is not even a sheep, me is a lion, a shepherd cyaan even lead me, only the King of Kings, the Lion of the Tribe of Judah, the Conquering Lion. You know dem way deh? So that’s wha’ me realise seh, me a the conquering lion. Jah live. Ca’ most a the shepherd gone astray. How do you feel about that some of the vintage artists, that most of them have such a struggle to go through and getting their music out? What about JAVAA? Well, I don’t want to talk anyt’ing negative about any… you’d have to come down there an’ see what operate an’ you can judge it from there then. But it’s good to have something for the elders at least. Yeah, but I mean all the t’ings you hear from the elders, they’re settin’ up – you don’t hear that they’re settin’ up anyt’ing for Jackie Mittoo, nutten for Roland Alphonso, nutten for Tommy McCook, nutten for Theophilius Beckford, nutten for Delroy Wilson. So I don’t understan’ all of these ‘vintage’ t’ings, what are their purpose? These people died after so much great work, an’ nutten ‘appen. You see what I mean? So I dunno what they do represent. You mean they should put up some sort of fund to assist the elderly musicians down there? Whatever. Somet’ing need to come for these people, y’know. You know who Tommy McCook is? Roland Alphonso, Don Drummonds? 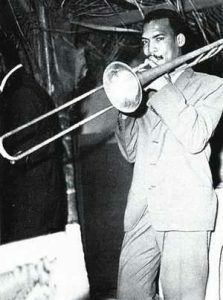 Jackie Mittoo, Winston Wright? Delroy Wilson? If you are still dancin’ to their music, what is happenin’ to their families? You know what I mean? What are these ‘vintage’ things for then? Wha’ go ‘appen? You goin’ have a concert or ‘ave a day for these people? You goin’ have something, what it is? So what is their purpose, tell me? You know, ask them and find out. Is there any special names you would like to bring back into the music business? A lot of talents from the ‘vintage’ days simply gave up when the struggle was too hard to stay in business, they are numerous. You have guys like Gideon Jah Rubbaal, remember him? Yeah, very well. Yeah. Most of these people is there. They don’t get the chance. Is like them withdraw from the music beca’ from how the business treat them. They’re there with their stuff too, and just hoping that someone would be just honest enough to jus’ come an’ deal with their business ‘pon a level that they feel free to start back into the whole process again. Some people say that, currently, there’s a resurgence of vintage names in the music now, is this just empty talk or do you feel that yourself, that there’s some truth behind it? 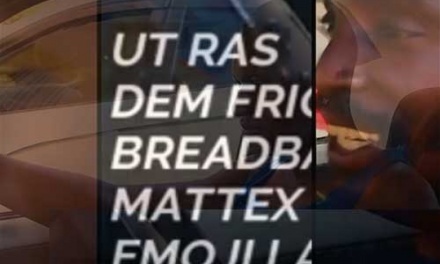 A lot of names are coming back now, that it is opening up for them again? They don’t come through certain ‘necessary’ channels so to speak? It’s controlled, yeah. It’s controlled. Beca’ even though the market open up a certain way, the business still rest a way. Because I might have an album an’ someone order it, order a portion of it, I go to get it pressed, I have problem in gettin’ it pressed beca’ the amount that I want an’ through that big company that own the press coulda jus’ low me down, y’know wha’ I mean? And they’re like that, the business kinda weird. So it’s so many different kinda ways you can get sabotaged owing to the fact that they don’t own your music and it’s yours, an’ you don’t have a press, then a man can slow down your whole process because you’re not in that position. And you haffe deal with it, because him own the press. I mean, a good pressing plant, then people buy the record. So it’s so much different way. You have to – even the small producer dem, sometime them jus’ do somet’ing else, and still ‘ave their music. That is for those who is not selling out. 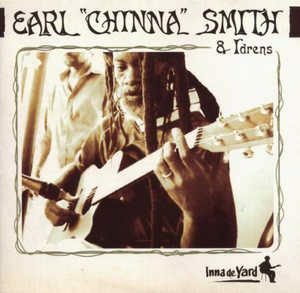 ‘Earl Chinna Smith & Idrens’ is far from the first album project in his own name, in 1977 producer Bunny Lee issued an LP titled ‘Sticky Fingers’ (no, no Rolling Stones covers included I’m afraid) through Count Shelly’s Third World imprint, as by one ‘Chinner’. It was a good idea, guitar-based reggae had had some sort of impact the previous year with the release of American jazz virtuoso Eric Gale’s ‘Negril’ album, but just like Bunny’s Carl Harvey LP ‘Ecstacy of Mankind’ (bootlegged as ‘Guitar Boogie Dub’ for several years but now re-released by the Paris-based Makasound label under its original title) the rhythms just don’t seem to fit very well all through an album. The late seventies’ ‘rockers’ sound was, somehow, a bit too rough to make it essential listening having a guitar on top, while someone like Jackie Mittoo could succeed at the same time with his ‘Keyboard King’ stuff over the same rhythms. Both albums, in retrospect, have their moments though. 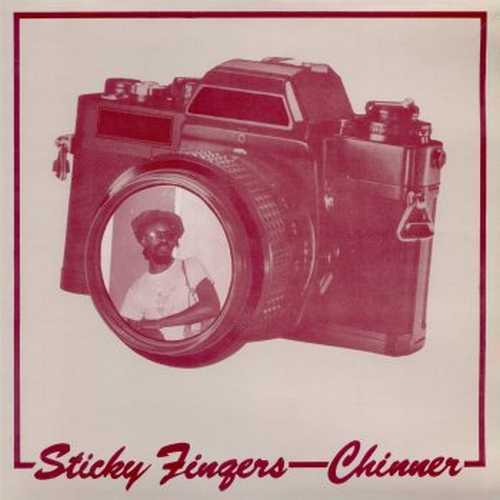 Without being a hundred percent sure, I believe Chinna reissued that LP on his own High Times imprint during the nineties, ‘Sticky Fingers’. ‘Idrens’ gives me mixed feelings, I will never deny that. It’s a bit uneven, although Chinna’s guitar playing is a pleasure for the ears throughout. The DVD pretty much illustrates the session procedure, unmistakeably enhanced by that special ‘silent saxophone’. 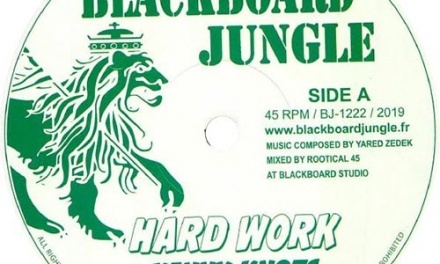 The High Times 45s have been interesting for the most part of the nineties, with Istan Black’s ‘Garvey Inspiration’ being outstanding. ‘Dub It’, the remixed counterpart to Mutabaruka’s ‘Check It’ classic, came out on Nature Sounds a couple of years ago and is a worthwhile investment. Still wondering what Chinna has in the vaults if they are as good as this. Only the future will tell us. The future will also tell us if the excellent Joe Higgs album ‘Triumph’ will come out again, having been long unavailable since its original Alligator release back in 1985. 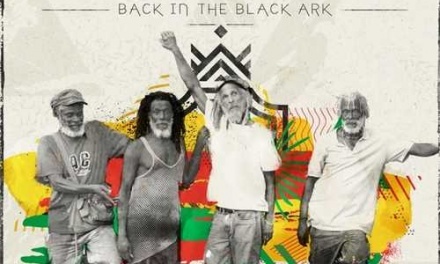 A recent spin to the LP confirmed after so many years in absence what a beautiful production this is, co-produced by Chinna, and how missed the Godfather of Reggae really is. Where is the Joe Higgs compilation we need out there? Same goes for the Alligator ‘High Times All-Star Explosion’, the first ever High Times anthology but unavailable for more than twenty years since the blues label Alligator ceased to release reggae music. 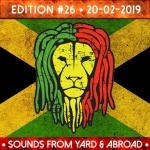 The whole ‘Inna De Yard’ project brought in something fresh to the industry, stripping off the music to the bare bone, and letting some long lost voices shine again. The Viceroys’ effort has received the best criticism so far, and I agree, it is a solid record by a much missed vocal group and the number one to get in the series, followed closely by Kiddus I’s superb contribution, in fact his debut album, which is a must-have. Cedric Myton, Linval Thompson and the recent Ras Michael Junior’s ‘Medicine Man’ are all decent efforts. A Junior Murvin is to be expected in the coming weeks, which should be interesting. Personally I would like to see a reissue soonest of the late Devon Russell’s beautiful Curtis Mayfield-cover, ‘(We the People Who Are) Darker Than Blue’. High Times magic at its absolute best.